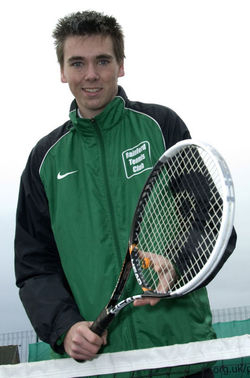 Conor was recommended to participate in the scheme by Rainford Tennis Club where he is a member. This led to him being awarded further qualifications. He also volunteered to take part in the tennis club’s coaching programme with local schools by giving up two hours a week to help out. Because of his new found qualifications he was given the task of helping to coach 40 different players as well as supervising a number of other younger players who had undertaken a Tennis Leader Award. Importantly this has opened other doors. His experience gave him the confidence to volunteer to help the Lawn Tennis Association by umpiring and court supervising in some of the largest Lancashire junior tennis tournaments. Conor’s playing ability has also benefited – he was the first ever Rainford player to reach the main draw of the Men’s Singles of the Lancashire Tennis Championships. He won all of Rainford’s club competitions – boy’s singles and doubles and the men’s singles and men’s doubles. Recently Conor has been fundraising for the Max and Sam Tennis Foundation. The Foundation runs and supports sports programmes for under-privileged children in Sierra Leone and other nearby countries. Conor has also been given a work placement at Wigan’s Robin Park Tennis Centre after his work at the Lancashire Tennis Championships where he was noticed by the head coach from Wigan. Conor has gained more knowledge and experience about the sport of tennis and an understanding of coaching in general during his year on the Get Qualified programme. He has also notched up more than 250 volunteer hours.